Here in brief is the somewhat unusual story of how this book came to be. 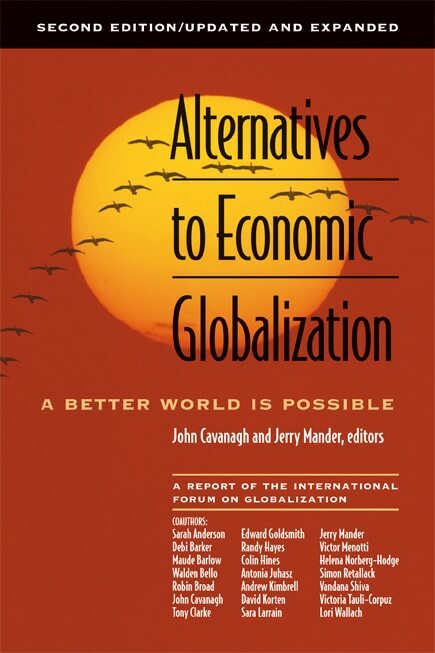 In the fall of 2008, Rabbi Michael Lerner invited me to write an article for Tikkun magazine reviewing big-think books by two influential economists. With Michael’s guidance, the article evolved as the financial meltdown played out, and it ended up as a call for a basic redesign of our economic institutions and a proposed address for delivery by President Obama on a New Economy agenda. As I was working on that piece with Michael, YES! magazine editors Sarah van Gelder and Doug Pibel suggested I do a piece for YES! that would speak to the bailout passed by Congress but would also go beyond to outline an agenda for a new economy. The Tikkun and YES! articles both appeared shortly after the November 2008 presidential election. They set the stage for writing this book, and I have freely adapted material from both in its writing. I owe a special debt of gratitude to the editors of these forward-looking magazines for their invitations and guidance, without which this book might never have been written. Late in the evening on November 24, Steve Piersanti, the president and publisher of Berrett-Koehler Publishers, with whom I’ve worked on my most widely read books, sent me an e-mail message saying he had read the YES! magazine article and wanted to help get its message out far and wide, perhaps as a short book. My wife, Fran, and I discussed his invitation the next morning and had a phone conversation with Steve that evening, during which we outlined a production schedule to have the book ready to launch on January 23, 2009, immediately following Obama’s presidential inauguration. This was the day I was scheduled to deliver a keynote address at a national theological conference sponsored by the historic Trinity Church, located in the heart of Wall Street. We found it difficult to imagine a more propitious time and place to launch a book calling for an end to Wall Street and the altar of mammon. The idea energized the Berrett-Koehler team, and they rose to the challenge. I would have three weeks to produce the manuscript, drawing freely from my previously published books and articles as appropriate. 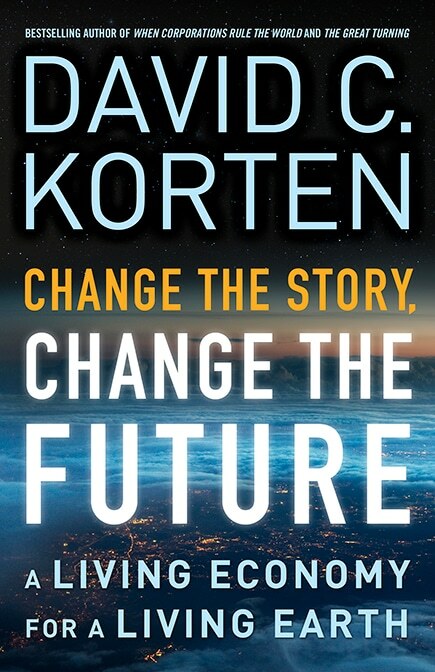 Berrett-Koehler would have roughly five weeks to edit, publish, and deliver the initial copies to Trinity in time for the launch. Once I got started, the book took on a life of its own, and the elements came together as a far more integrated, distinctive, and powerful whole than any of us had dreamed possible. Great credit for this goes to the tremendous support I received from the Berrett-Koehler team, Fran, and my other colleagues. Steve Piersanti read every chapter as I drafted it and provided invaluable feedback. Michael Crowley adjusted his holiday vacation time to put together the cover text, endorsements, and marketing materials. Karen Seriguchi, who served as copy editor, worked with me literally around the clock for ten days to produce a final edited text. The three-week deadline, rather like a scheduled execution, helped to focus the mind, as did the book’s drive to a clear bottom line: shut down Wall Street and build a new economy on the foundation of Main Street with a new financial system dedicated to serving its needs. The tight deadline and clear bottom line also helped me resist the impulse to delve into the complexities of the various Wall Street financial schemes and scams. Once we are clear that Wall Street is operating an extortion racket that imposes unbearable costs on society while serving no beneficial function not better met in other ways, we really don’t need to worry about the arcane details of exactly how the scams work. For those who want the details, there are other books, such as those mentioned above by Baker, Phillips, and Morris. 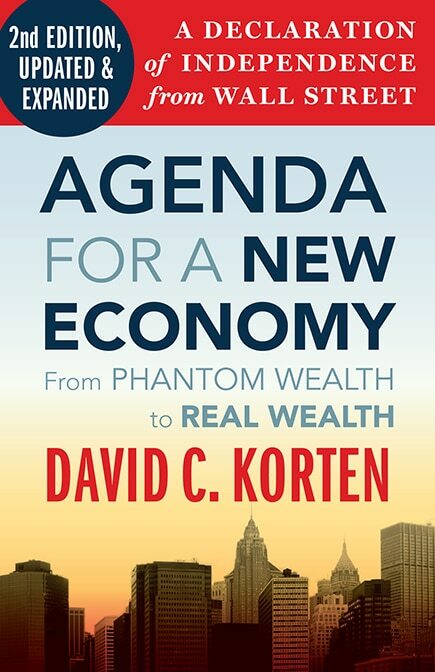 Agenda for a New Economy is about the bigger picture. As I reached the end of this sprint to the publication finishing line, I realized the extent to which I had been preparing my whole life to write this book. I grew up in a conservative small town where I learned to value family, community, and nature and the special character of America as a middle-class democracy, free from the extremes of wealth and poverty that I was led to believe characterized the world’s less advanced nations. In my childhood, my dad, a local retail merchant, taught me that if your primary business purpose is not to serve your customers and community, then you have no business being in business. The wilderness experiences of my adolescent years taught me a reverence for nature. My Stanford Business School education taught me to look for the big picture. My doctoral dissertation research in Ethiopia taught me the power of culture in shaping collective behavior. From my experience as an Air Force captain on the faculty of the Special Air Warfare School and as a military aide in the Office of the Secretary of Defense during the Vietnam War, I learned how the world’s most powerful military was thwarted by the self-organizing networks of an ill-equipped peasant army. My tour as a member of the organization faculty at the Harvard Business School helped me understand the dynamics of large-scale organizational systems. From my years in Asia with the Ford Foundation and the U.S. Agency for International Development, I experienced the positive power and potential of local community self-organization and the importance of local control of essential economic resources. I learned about strategies for large-scale institutional change from my involvement in both successful and unsuccessful efforts to restructure national resource-management systems in irrigation and forestry to place control in the hands of local communities. It was during these fifteen years in Asia that I became aware of a terrible truth: development models based on economic growth were making a few people fabulously wealthy at an enormous social and environmental cost to the substantial majority. 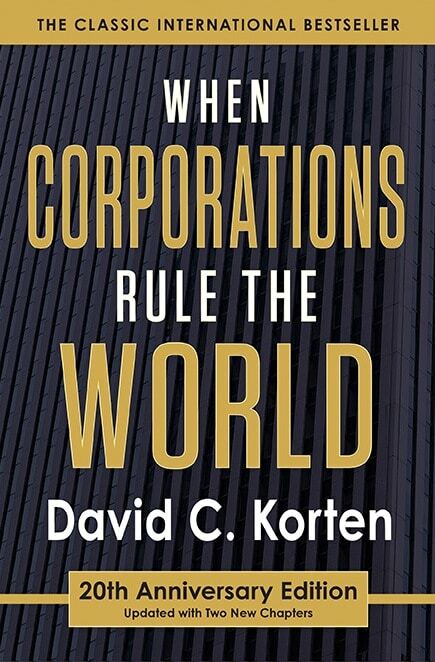 In writing When Corporations Rule the World, I came to understand why the publicly traded private-purpose corporation is an inherently destructive anti-market business form. 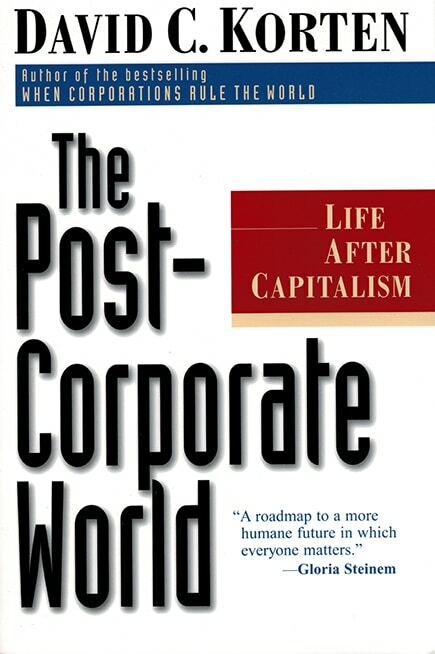 In writing The Post-Corporate World: Life after Capitalism, I came to see the important distinction between the Wall Street capitalist economy and Main Street market economies and the ways in which properly designed market systems mimic the organizing dynamics and principles of healthy living systems. From the experience of my daughters, Diana and Alicia, I saw firsthand how the Wall Street reengineering of the economy has made it much more difficult for today’s young professionals to get established economically than it was for my generation. Through my experience with the International Forum on Globalization and the global resistance against corporate-led economic globalization, I learned how a new story spread by global citizen networks can reshape the course of history. As I pushed deeper in my analysis, I came to see that the power of financial markets trumps even the power of global corporations. My experience with YES! Magazine gave new definition to my vision of a possible human future, based on its wealth of stories of people taking practical action to create a world that works for everyone. 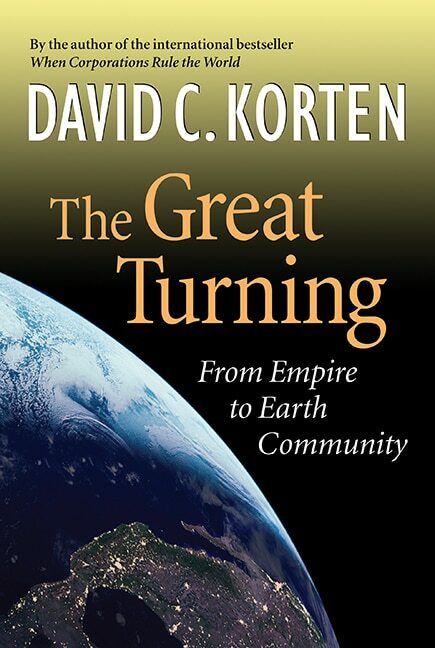 Writing The Great Turning: From Empire to Earth Community brought historical depth to my understanding of why our species is now in such deep crisis and raised my consciousness of the pervasive presence and perverse consequences of dominator cultures and institutions that nurture and reward behavioral pathology. My experience with the Business Alliance for Local Living Economies inspired my sense of the opportunity at hand to build a just and sustainable New Economy on the foundation of Main Street economies. All these many themes inform and find expression in Agenda for a New Economy.